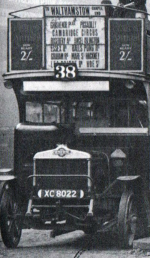 Did you know that in addition to all the other lovely things we’re celebrating in the UK in 2012 eg the Queen’s Jubilee and the Olympics, we are also celebrating 100 years of the bus route 38 in little old London town. 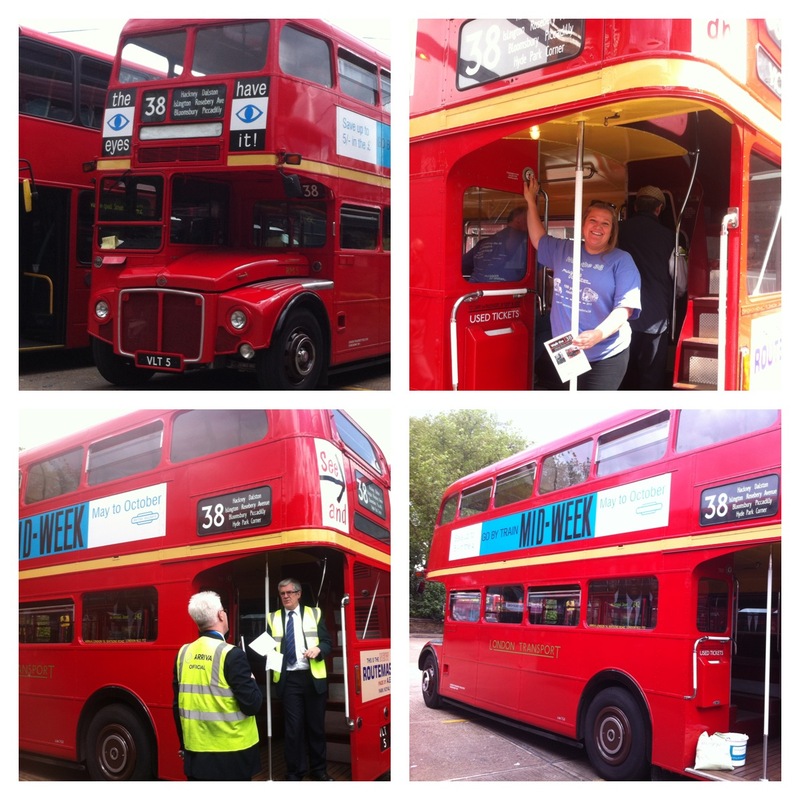 To celebrate the centenary of Route 38, Arriva London have partnered with Maggie’s Cancer Caring Centres in a project “Walk the 38”. More information at www.maggiescentres.org/walkthe38 or www.arrivalondon.com/maggies. Today however I had the absolute privilege and delight to be volunteering for Maggies on an old-fashioned Routemaster bus. Arriva kindly waived the usual bus fare in lieu of us collection donations for Maggie’s and at the same time enabling us to speak to the passengers about the Walk the 38 initiative and also about the amazing work that Maggie’s Cancer Caring Centres provide to anyone affected by cancer. The fundraising bucket was mighty heavy when I handed over my shift to the next volunteer and I know that every penny will be put to tremendous use for people like me who have and continue to use Maggies’ Cancer Centres throughout the world. As well as being able to give back to Maggies a tincy little bit by volunteering for them today, it really didn’t feel like a chore at all. It was blinking a-mazing! I love love loved being on a Routemaster bus again, able to swing around the pole at the back of the bus, hear the sound of the engine and the dingdong of the bell as the conductor lets the driver know when to move off or stop at a bus stop. I heard many many stories from bus enthusiasts about why they were there going back and forth between Clapton and Victoria on these special buses laid on for today. But also to listen to the sharp intakes of breath that was accompanied by the broadest of smiles from people standing on the pavements or stopped at buses as they realise a real Routemaster bus was back on the roads. We were asked many times if they were coming back into service but sadly they’re not. They were iconic in London town and certainly a part of my childhood memories of coming into London and starting work in London. The drivers and conductors were also volunteers today from Arriva. They had once worked on the Routemaster buses and loved them. I heard their fond memories of incidents and laughs they’d had. Apparently as Routemasters were faded out in London the conductors one by one left the job but not before they applied to work on Route 38. Route 38 was the final one to have Routemasters and the day after the final Routemaster was put into retirement there was a tearful party for all the conductors and drivers. Today however we had many of these men and women giving up their time just so that they could drive or conduct one more time. As we’d pass another Routemaster on the road there would be a welcome wave and a shout across to an ex-colleague with a grin that could barely fit the face and eyes that were lit with pure excitement. I think my abiding memory of today will be a simple one though. One chap stood at a T-junction. As we turned the corner he looked up, he looked again, his jaw dropped and only slightly giving way to a smile he craned his neck out to watch us as far as he could and we, those of us who were captivated by him watching us, could see a million memories flood across his face. This entry was posted in Volunteering and tagged Maggie's, Volunteering by AnnaGoAnna. Bookmark the permalink.